More and more gambling conferences and industry executives are getting interested in blockchain technology, so the strongest events are now including these topics as a relevant part of the content in order to be up to date. 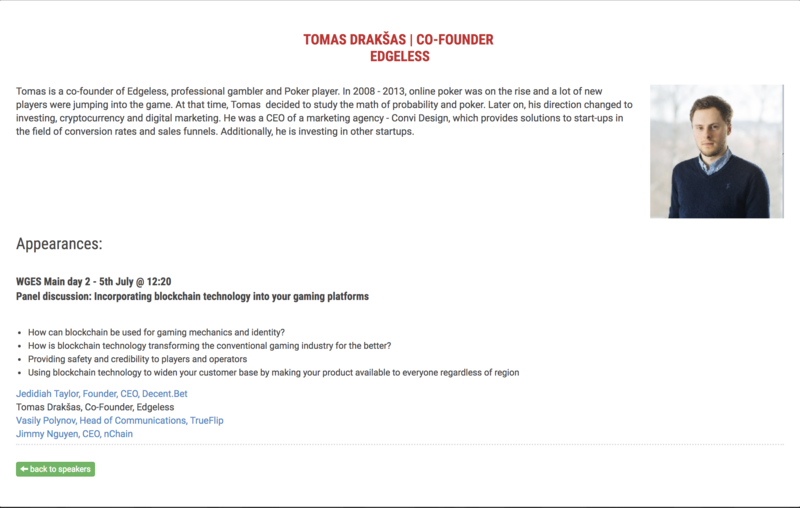 Therefore, such blockchain industry experts like Edgeless co-founder Tomas Drakšas gets invited to be a speaker in such events. 200 speakers, 55+ countries, one of the most exclusive & influential gathering for the gaming industry - and these are just few facts about World Gaming Executive Summit 2018. The conference will take place in Barcelona on the 3rd-5th of July. 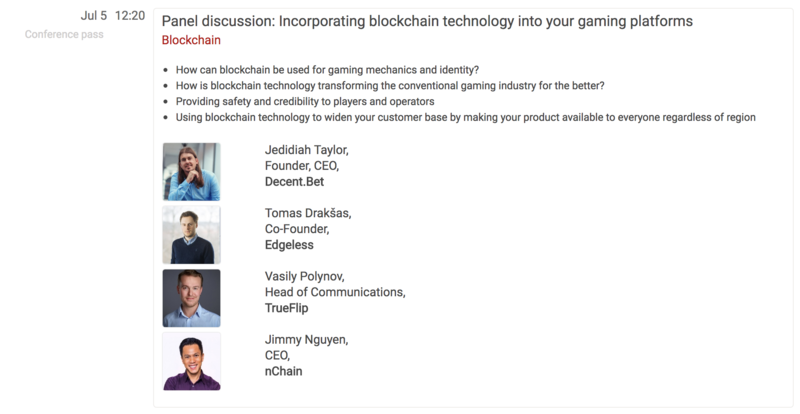 Tomas, however, will be one of the panel speakers on Blockchain part on 5th of July together with the representatives from Decent.bet, Trueflip and nChain. However, sharing the knowledge and experience is not the only benefit for Edgeless from this conference. World Gaming Executive Summit gathers top executives from the biggest Casino companies, operators, game providers, etc. Stay tuned to hear more news!